Bread is a mobile bitcoin wallet solution designed to leverage the possibilities and capabilities that bitcoin provides. Bitcoin is a cryptocurrency or digital currency that operates in a payment system that doesn’t have a central bank, and a network wherein transactions are done directly between users with no intermediary. Bread is built to connect users directly to such system and network. Simple and secure, the app permits them to send and receive any amount of bitcoin from any place and at any time. With Bread, they will also be able to save and buy bitcoin. Furthermore, Bread lets users make bitcoin transactions without the need of logins or passwords that they have to remember. The solution only provides them with a wallet and a paper key. A paper key is comprised of 12 words that are randomly generated and can be used to regain access to a wallet. Likewise, Bread is a standalone client, which means users can send and receive bitcoin without relying on a server. As Bread connects users directly to the bitcoin network, they are ensured that they have full control over their money and transactions. Bitcoin is a digital money that eliminates the common problems associated with the world’s banking system such as high bank fees, poor customer service, and restricted banking hours. It makes sending any amount of money to any person anywhere in the world and at any time possible. However, bitcoin and other cryptocurrencies are complicated to use. With Bread, using bitcoin is a breeze. Thus, the mobile bitcoin wallet solution enables users to make bitcoin transactions with ease, connecting them directly to the bitcoin network where they no longer have to be frustrated with high bank fees, banking hours, or poor customer service. 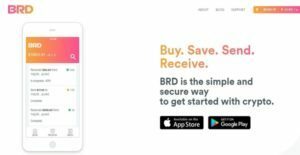 As users create a new wallet through the Bread or BRD app, it generates a list of 12 words which are randomly provided by the app. This list of words is called “Paper Key.” Paper Key is one of Bread’s security features. It used primarily to restore access to a wallet. Because users can only store their wallets on their mobile phones, a paper key is very important. For instance, when a mobile phone is lost, destroyed, or stolen, they can use a paper key so they can access again the wallet on a new phone. It is highly recommended that they write every word in the list on a piece of paper, and store the paper in a secure location. In addition, they can use a paper key when they want to reset their wallet’s PIN or when their phone is updated. In order to send and receive bitcoins through Bread, the bitcoin address of the recipient is needed. The recipient can give his or her bitcoin address to the sender by presenting a QR code where the address is stored, sharing it via email or text message, or pasting it to a website or another app. Then, the sender needs to enter the recipient’s bitcoin address. Depending on how the sender received the address, there are different ways to enter the bitcoin address. One way is by scanning the QR code if the sender received a QR code. In case the sender received the address via email or text message, he or she can copy and paste it. Lastly, the address can be manually entered after tapping the “To” label. This can be applied when the sender obtained the bitcoin address in another way. There is a very interesting feature in Bread which helps senders ensure that they are sending the correct amount of money to their recipients. This feature is called the “Request An Amount.” When recipients use the “Request An Amount” screen, they can specify the amount of money they are expecting to receive. Whatever amount they enter will be included in the QR code. As the sender scans the QR code, the app automatically enters the amount to be sent. This way, the sender doesn’t have to enter the amount manually, and at the same time, mistakes are avoided when it comes to sending a specific amount of money. If you are interested in Bread it could also be sensible to examine other subcategories of Best Mobile Payment Systems gathered in our database of B2B software reviews. Enterprises have diverse needs and requirements and no software solution can be ideal in such a condition. It is useless to try to find a perfect out-of-the-box software system that fulfills all your business requirements. The wise thing to do would be to customize the solution for your specific needs, employee skill levels, budget, and other factors. For these reasons, do not hasten and invest in well-publicized popular systems. Though these may be widely used, they may not be the perfect fit for your unique requirements. Do your groundwork, check out each short-listed platform in detail, read a few Bread reviews, speak to the vendor for explanations, and finally select the app that presents what you require. Bread is a free digital wallet app for bitcoin. Thus, you can download and use the app for free with no enterprise pricing fees to worry about. However, you need to pay transaction fees to the bitcoin network. In addition, buying bitcoins through the app has fees depending on the payment method you use. We realize that when you make a decision to buy Mobile Payment Systems it’s important not only to see how experts evaluate it in their reviews, but also to find out if the real people and companies that buy it are actually satisfied with the product. That’s why we’ve created our behavior-based Customer Satisfaction Algorithm™ that gathers customer reviews, comments and Bread reviews across a wide range of social media sites. The data is then presented in an easy to digest form showing how many people had positive and negative experience with Bread. With that information at hand you should be equipped to make an informed buying decision that you won’t regret. What are Bread pricing details? What integrations are available for Bread?